The thinking behind the Roberta Winter Institute (RWI) began when Ralph and Roberta Winter worked for ten years among a Mayan tribal group called the Mam people in the highlands of Guatemala in the 1960’s. Grinding poverty and illness plagued the Mam and prompted Ralph to reflect on the connection between disease and God’s will for humanity. 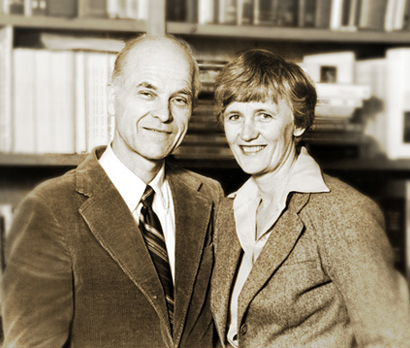 After returning from the mission field the Winters spent a decade at Fuller Theological Seminary and then twenty years as founders of the U.S. Center for World Mission. Then, in 1996 they were sent reeling when Roberta was diagnosed with a rare form of terminal bone cancer called multiple myeloma. In the years that followed, Ralph read and researched broadly about cancer, disease in general, and the entire medical/pharmaceutical industry. Additionally he thought deeply about how disease and evil tear down God’s creation and tarnish his reputation, rendering our gospel witness ineffective. Unexpectedly, all this research and theological reflection converged to spark some serious new ideas  in Winter's mind in the areas of missiology and disease eradication. Beyond his conviction that these ideas would add credibility to mission efforts around the world, he also believed that he could set something in motion that could materially help his wife. Unfortunately, despite his best efforts and the continuous prayers and concern of hundreds of friends, on Sunday, October 28, 2001— five years after her diagnosis—Roberta passed away. In her honor, Ralph officially established the Roberta Winter Institute in December 2001 with the primary focus of a new theological sensitivity for destroying the works of the devil. Ironically and tragically not long after establishing the RWI, Ralph was diagnosed with the same disease that took Roberta’s life (multiple myeloma). During the eight years between Roberta’s death in 2001 and his own in 2009—and thanks in large part to his second wife, Barbara—he laid the groundwork for all that he hoped the Roberta Winter Institute would accomplish. He worked tirelessly over those years by speaking, writing, researching, and recruiting at every opportunity, even as his health continually declined. What he left behind was a collection of some of the most interesting and far-sighted ideas of his career. Though its founder passed away in 2009, the work of the Roberta Winter Institute continues on with fresh conviction and vision. After Ralph Winter's death, a small group of his colleagues formed to keep his dream alive. In May 2010, Brian Lowther was named director. Since then the RWI has pursued many different avenues, casting around, trying various ideas, seeing what fit and shutting down what didn’t. Below are some of the RWI’s more significant recent endeavors. A blog experiment in which we published 46 blog entries. During the experiment, traffic to the RWI website grew by 198%. Over 1,200 people visited the site and almost 9,000 pages were viewed. A 192-page book entitled, The Ralph D. Winter Story. According to WCL Publishers, besides their best seller, more copies of The RDW Story were sold or distributed in the first six months than any other book. 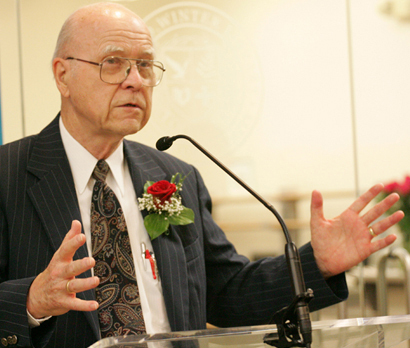 The 2013 Ralph D. Winter Lectureship in which pastor and theologian Greg Boyd served as the keynote speaker. 164 people attended the event and thousands more have viewed the videos online. A popular-level book building on the work of two theologians and a geneticist that explores evil in nature in view of Satan’s active involvement in our world. A postgraduate-level scientific research institute focused on the study of the origins of disease. The Lord has very graciously provided both the people and a way forward. The future is bright. We in the Roberta Winter Institute aspire to fill this crucial niche: to be one of many catalysts in this mounting offensive counter-attack against the sources of evil and disease.